Call Centres can get busy… and I mean extremely busy. With all the calls, call agents, and data that are involved on a daily to monthly basis, it can often feel like you’re drowning. Not to worry! We have a life preserver waiting for you! Call centre managers have waves upon waves of data coming at them from various platforms focusing on various business processes. Metrics provide a way for you to monitor this data, and dashboards help you keep it all in one place! Throughout this blog, I will be going over the 25 top metrics, or KPIs, that will help you stay afloat amongst all the details and data and enable you to ensure success. Think of KPIs like you would a life jacket: The jacket keeps you afloat, but it still requires you to swim to shore. KPIs (Key Performance Indicators) give you direct visibility into your data and trends, but at the end of the day you still need to put in action to improve on your numbers and keep those positive trends going forward. A KPI (Key Performance Indicator) is a measurable value, or values, that demonstrates how effectively a company, department, team, or individual is achieving business goals. Depending on what you’re wanting to monitor, and what industry you’re in, the KPIs that are relevant to you will change; an ER intake nurse in a hospital will need to monitor measurables that are very different from those of a CFO of a multinational Not-For-Profit. Want to learn more about KPIs and how to make them effective? Check out our What is a KPI article. Below you will find the must-have call centre metrics to keep your head afloat in the churning waters of endless data and hectic days! 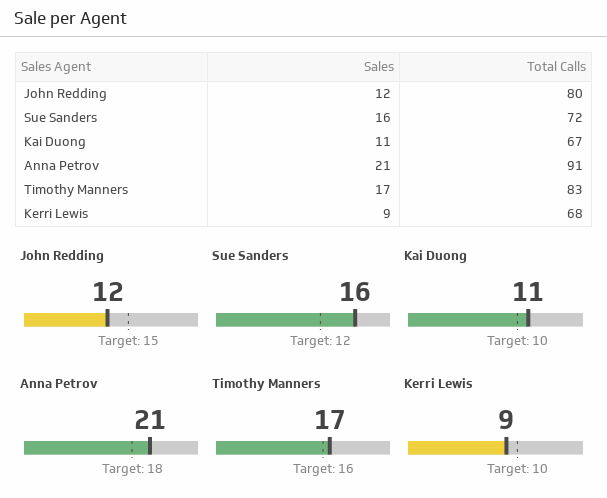 The Sales per Agent metric tracks the call efficiency of your team by measuring sales and total calls. Managers need to track this to adjust targets and direct overall sales performance. 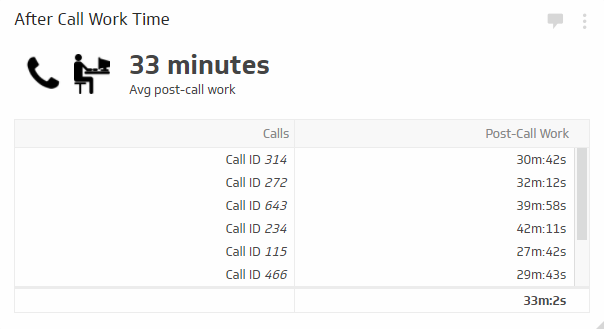 The Active Waiting Calls metric gives both you and your team a view into how many calls are currently in the queue. Your team needs to have an eye on this metric to pace out their work accordingly, and managers need to measure this to ensure traffic is up to company targets and to gain real-time knowledge on the workload of their employees. This metric, while it may seem insignificant, carries a lot of weight for call centre managers. The Longest Call Hold metric displays both the target hold time and the longest hold time to date. Managers monitoring the longest hold time can take steps to ensure that customer loyalty does not fall due to exorbitant wait times and alter the call agent numbers so there are more employees available to handle calls. 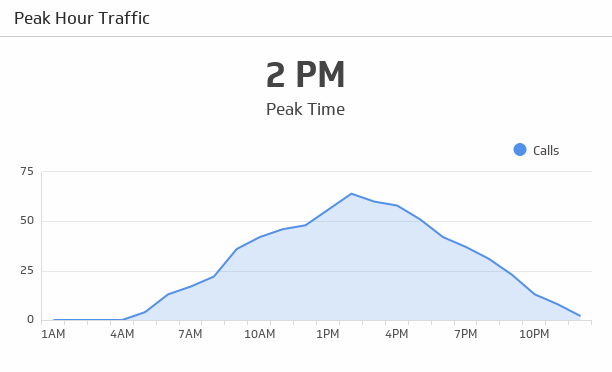 Peak Hour Traffic helps managers identify when the busiest hour of traffic is. This allows them to prepare and schedule enough call agents to handle the boom in calls during a specific time. 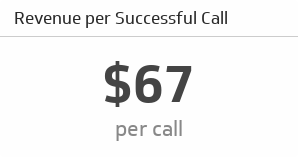 The Revenue per Successful Call metric lets your team know just how much revenue they are bringing into the company for a single successful call. This metric helps managers plan expected revenue with set targets and current progress, while also giving them a view into how valuable an effective call can be for the team. This KPI provides managers with insight into their team’s performance by monitoring multiple metric. With a view into each of these key metrics, managers have a view into current capabilities and performance all in one place. The Call Abandonment metrics gives managers insight into the number of callers that disconnect from the call before they interact with a call agent. This metric also gives the disconnected calls number context by tracking the data alongside active and on hold calls. Increasing subscriber numbers is a major goal, but it’s essential that call centre managers keep an eye on how much a single subscription costs the company. The acquisition cost of a subscriber will be the total amount of money invested through call agent salary, advertizing, and various other expenses into gaining another account. 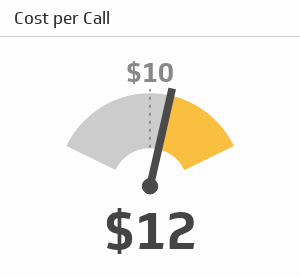 This metric enables managers to monitor the average amount of time a single call lasts. 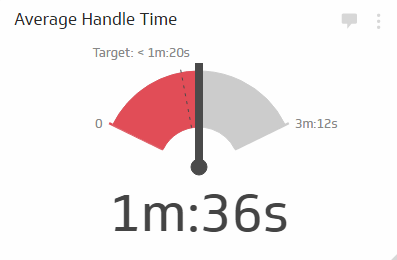 Knowing the average handle time helps managers and team members understand the workload, in terms of time, that is required with every customer call, while also helping the call centre manager knows agent performance and efficiency. Calling isn’t free. There are a multitude of aspects that add to the total cost per call: every call takes agent time which must be paid; resources are put toward generating a call; and investments are made in call equipment. It is crucial for a manager to monitor the cost per call against a target value to ensure costs do not get out of hand. Measuring customer satisfaction gives managers a direct view into the performance of their call agents. Call agents have a direct impact on how customers view companies, and managers need to ensure that their team is upholding company standards. Measure the amount of time call agents take to complete their post-call work. This metric allows managers to monitor the efficiency of your agents in completing the required post-call work, and enables managers to gauge how much time must be allotted for post-call work. The Cost per Contact metrics gives call centre managers insight into how much each individual contact costs. This particular metric helps determine whether or not there is benefit in gaining contacts, or if the costs to acquire are too high. Putting customer calls on hold is never ideal, but as with any busy call centre not every call can be taken as soon as it comes in. This metric gives managers a view into how long the average caller waits on hold before they are connected to a call agent. Customers don’t want to wait exorbitant amounts of time to connect with a call agent. While 60 seconds may seem insignificant, busy callers can lose their patience if they have to wait much longer. Call centre managers need to monitor this metric to ensure that their customer calls are being addressed within an appropriate amount of time. This metric tracks the number of calls that come in per day throughout the past 30 days, allowing managers to identify any trends and pinpoint days where calls were particularly low or high. The Call Resolution metric helps call centre managers track the number of calls that are resolved, while also allowing them to drill down into more specific data points such as first call resolution rate and the share of calls that required subsequent calls to be resolved. Call centre managers need to monitor the average sales per call agent to understand how effective their agents are at closing deals and meeting company goals. 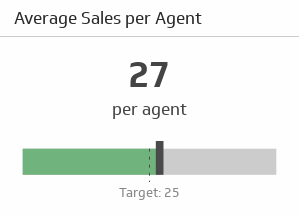 Comparing the sale average to a set target also helps call teams gauge their performance. Unfortunately, not all call attempts will be successful. The Call Setup Success Rate (CSSR) gives call centre managers and their team an idea of the rate at which they can expect to have a successful call connection, ensuring appropriate expectations are set. Sadly, technology doesn’t always work the way we want it to. As a manager it is important to understand the amount of downtime that has occurred, and it is crucial to be able to identify the causes of this lost time. This particular metric gives managers and call teams insight into total downtime due to technology issues. The Call Arrival Rate metric is useful for call centre managers to monitor as it provides insight into the number of incoming calls over a period of time. The Callback Messaging metric indicates the total number of messages that have been left with a callback number. Managers need to monitor the number of customers who have left messages requesting a callback to ensure that all messages are addressed in a timely manner. The Repeat Calls metric gives call centre managers the ability to identify recurring issues that are brought up in support calls. 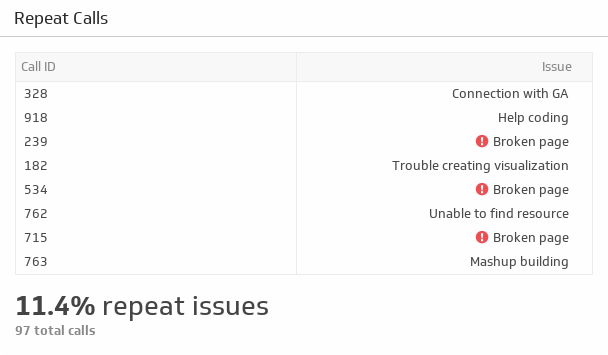 When particular issues have high occurrence rates, teams can prioritize their work to ensure the fix positively impacts the most amount of customers, hereby decreasing the total number of support calls coming in. The Agent Utilization metric gives call managers a view into the total share of time that call agents are engaging in calls to are working on call-related work. While monitored alongside a target value, this metric helps managers see how productive their team is in relation to set goals. Call centre managers need to monitor the total share of calls that are connected and completed successfully versus the share of calls that are unsuccessful. 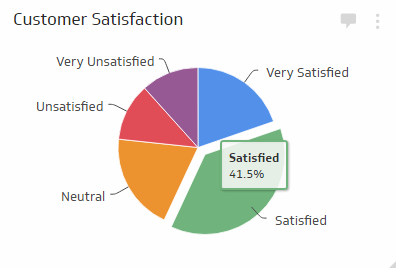 Want some more call centre KPIs? 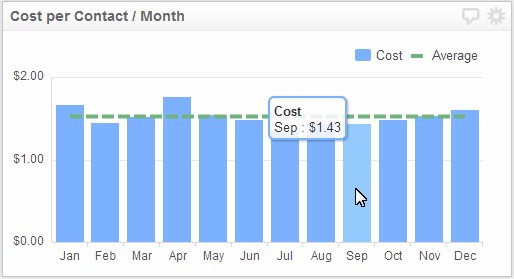 Check out our KPI Examples page for more metric and dashboard examples!